A lot of people wonder what type of vinyl should go on an umbrella. I decided to try 3 types, and let you know the winner. 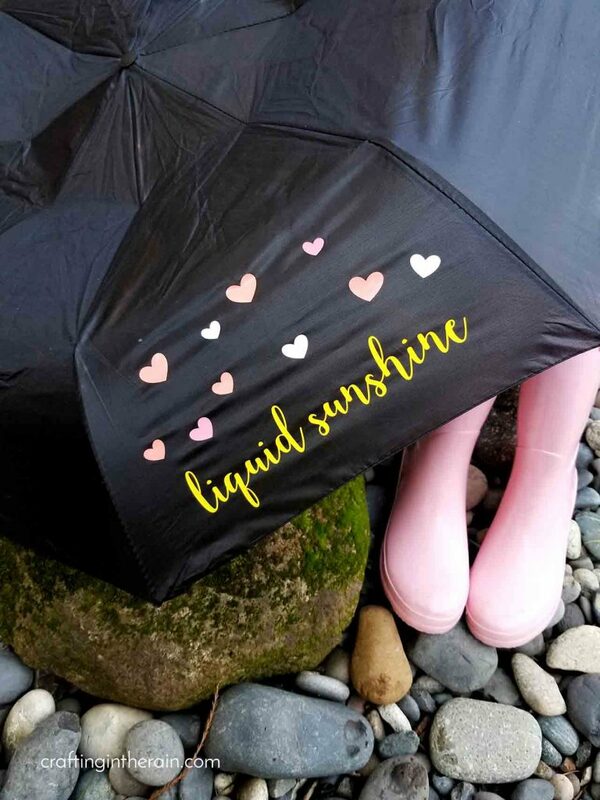 I’m using a pretty cheap umbrella – this one likely came from the dollar store, or the cheap section of another big store. 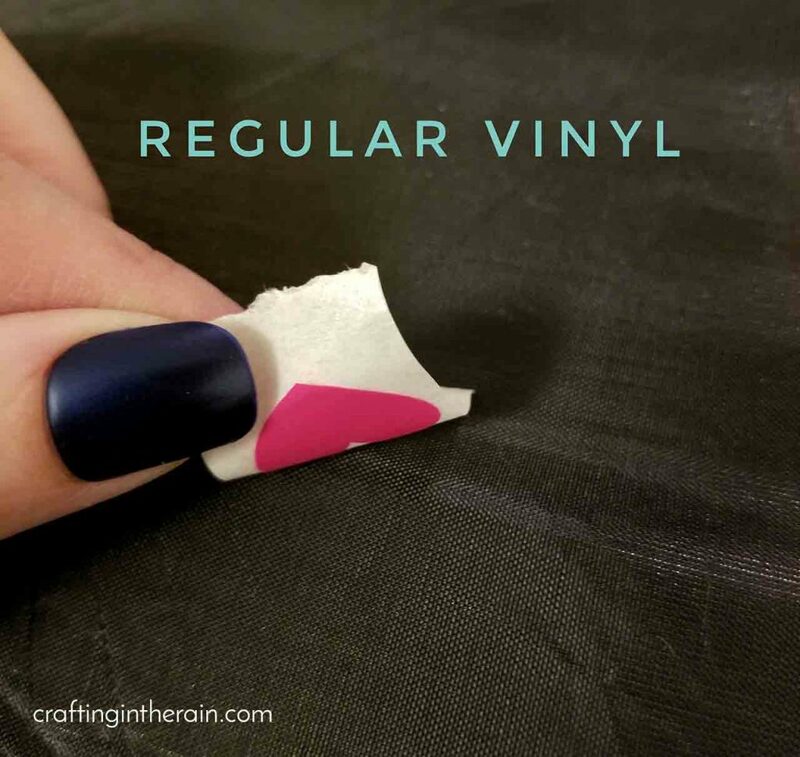 Upload the SVG to Design Space, then learn about the different types of vinyl I tried. NO This didn’t work at all. The vinyl just isn’t sticky enough to attach to the umbrella and only stayed stuck to the transfer tape. Plus, we know the umbrella is going to get wet and it just won’t hold up. YES I wasn’t sure how this would work, but it stuck great! Since the vinyl is permanent, it will be fine to get wet. 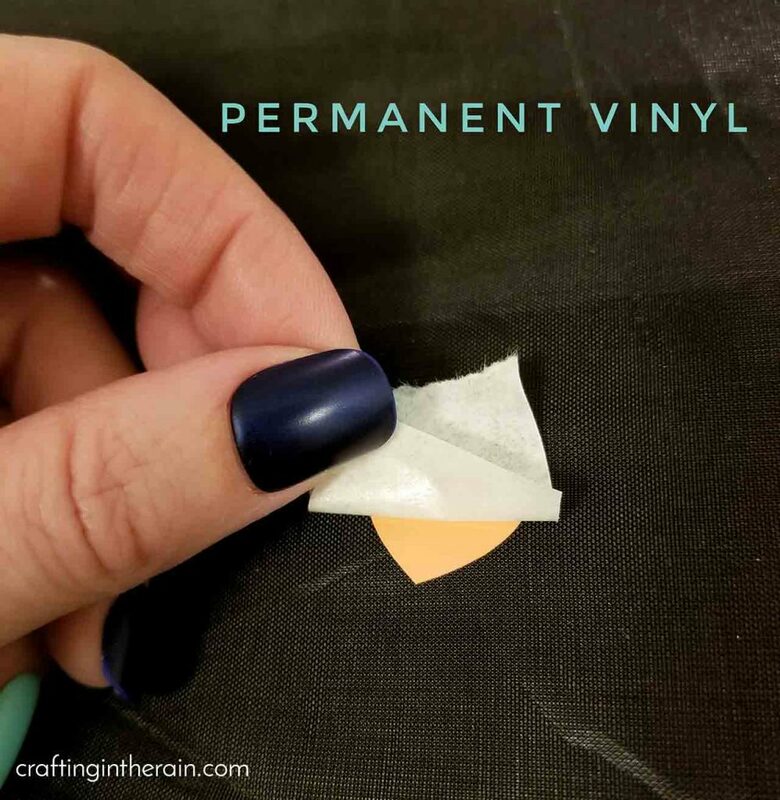 Use transfer tape as usual, and make sure to press the vinyl down really well. YES This also worked great! I made sure to use a low heat so I wouldn’t damage the umbrella, and I got really good results. So I used a combination of HTV and permanent vinyl. I applied the HTV first, then added the permanent after. 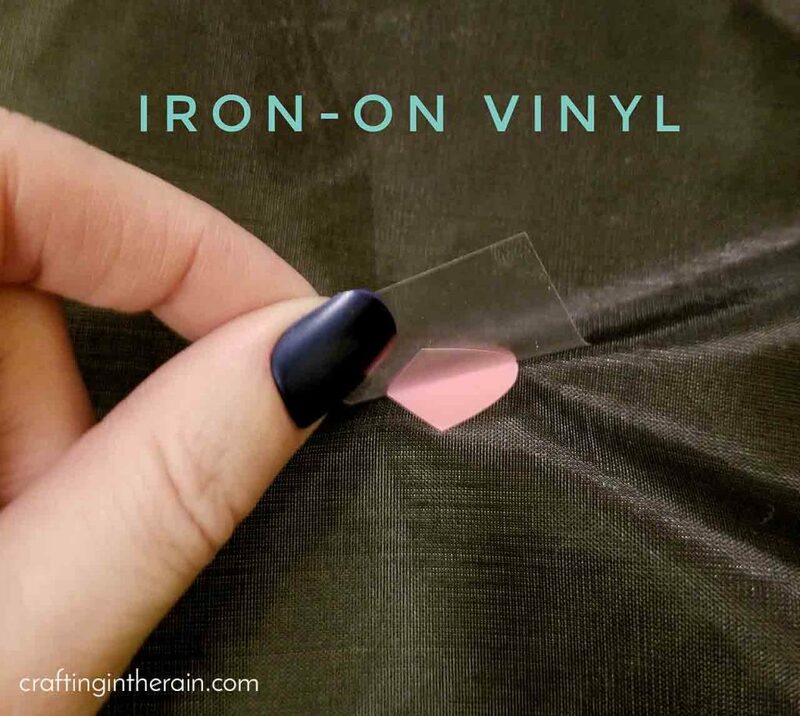 Check here for complete instructions on using iron-on vinyl. I started with a really low setting on the EasyPress temperature. 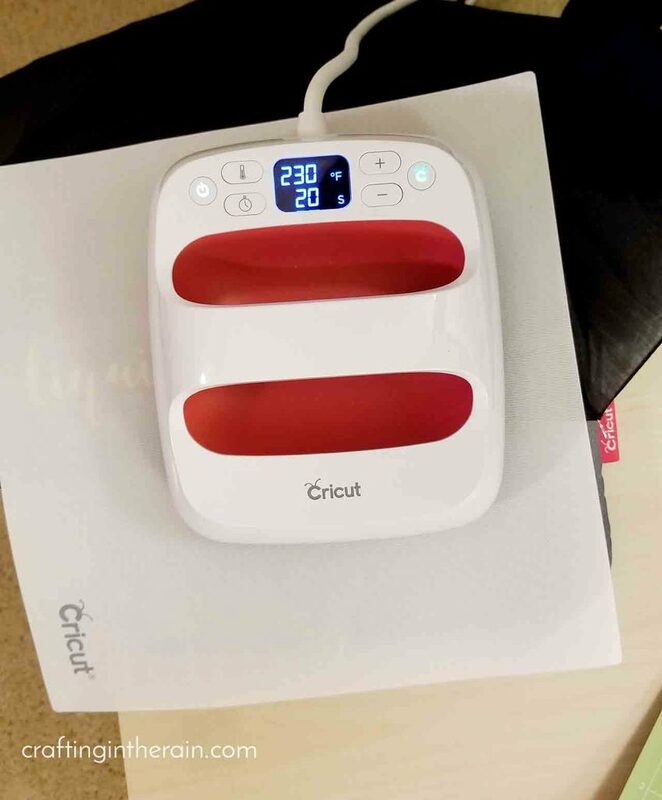 The lowest heat setting for the EasyPress is 210. I set it to 230 to start. As it turned out, I was using a couple of different brands of iron-on vinyl – and I don’t remember which was which because I do a terrible job at labeling scraps to remember later! But for the yellow, 230 for 20 seconds was great. And I did a cold peel. That means waiting for the iron-on to cool before removing the plastic sheet. For the hearts, I had to bump up the temperature a little bit to 245, and still 20 seconds, for it to stick. I used the Cricut protective sheet to make sure I didn’t melt the umbrella underneath, and that worked great. This is also the smallest EasyPress 2, the 9×6 size, so it fit in between the umbrella wires just fine. So my conclusion is that both iron-on vinyl and permanent vinyl will work on an umbrella. I’ll come back in a little bit and let you know if one is longer-lasting than the other! This is a great scrap-busting project to use up small bits of multiple colors. 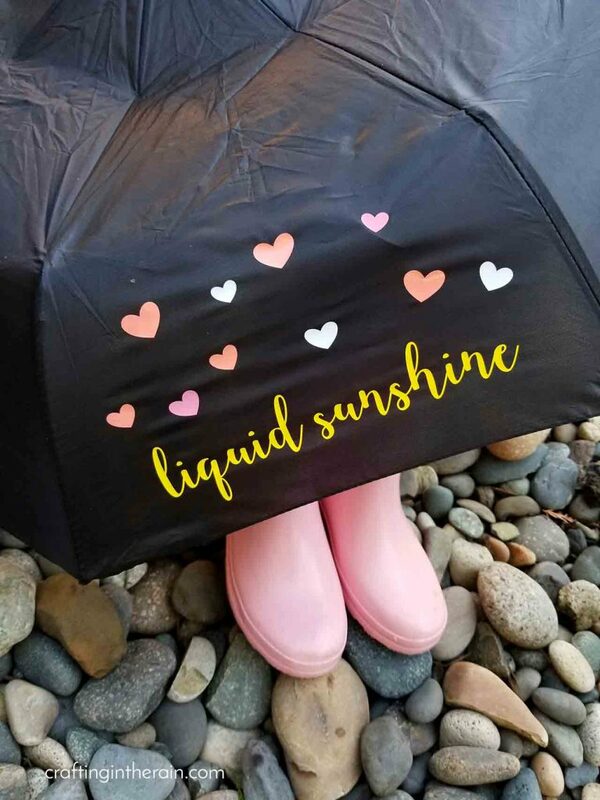 I hope you’ll try decorating an umbrella with vinyl too and let me know how it goes! I totally need to try this! Thanks for joining!